Tag Archives for " Users Not Customers "
You know the old adage – the customer is king, well there’s a new king and every business today must shift their focus to the much broader world of the user. A large segment of this user community may never buy from you, but in today’s increasingly digital world they do influence how your brand is perceived and, in the end, who does or does not become a customer. The trick is to become indispensable, through content and interaction to a large group of users, those that may never spend a dime with you, and your customers will naturally fall from this group. 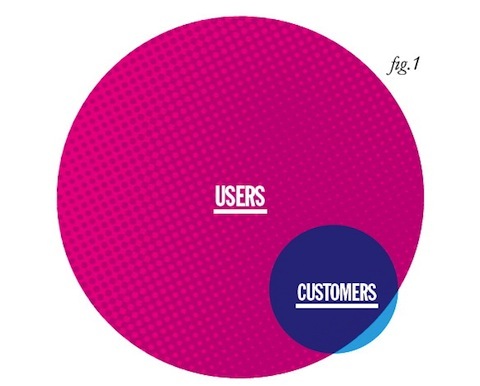 The larger the user group, the larger the customer pool. Building products and adapting your business for users over customers takes a bit of a mind shift, but successful organizations are doing this in a variety of ways. From my own experience, I can tell you that making your free products more valuable than your competitor’s paid products is one of the best ways to install this principle. Shapiro also addresses one of my favorite topics – rapidly deploying new technology that benefits your users. In one of the more telling moments in the interview Shapiro explains doing focus groups with millennials and when asked how much time they spent online they didn’t know how to answer the question. The next generation is so digital they can no longer distinguish moments when they aren’t online.